Before 2014, all EPDM Rubber Roofs Issues stems from the breakdown of liquid adhesives used to bond seams. 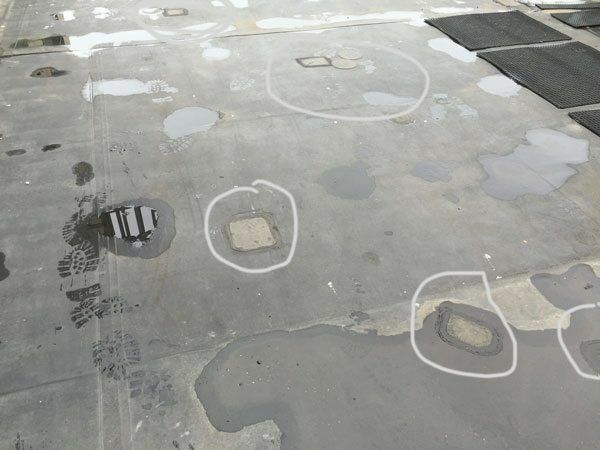 This single-ply rubber roofing system is predominately used on commercial flat roofs, but have failed to reach the life expectancy promised in the manufacturer’s warranty. Manufacturers are still trying to develop an adhesive with properties that can withstand the extreme heat that is generating from the black surfaces of EPDM rubber. Since 2014, a new system using a self-adhering cover tape came on the market. Because this system is still in the field, it does not have a proven track record of performing as intended. EPDM has no protection from harmful ultraviolet light, so it becomes subjected to excessive heat for prolonged periods of time causing degradation to the single ply membrane. 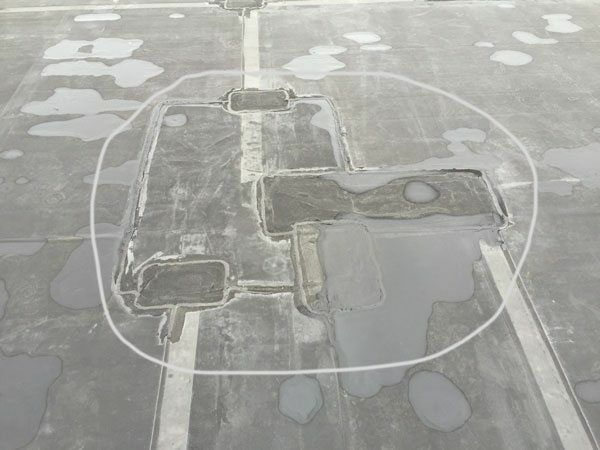 We have been in the roofing business for over 30 years, and when called to replace a roof, more often than not, we see that EPDM rubber roofs have multiple repair patches due to the breakdown of the adhesives used to bond seams. As a consumer, it is essential to be knowledgeable about which types of rubber membranes have the best ultraviolet light protection. The images show what an EPDM roof looks like in Westport, CT. after ten years. This commercial roof has endless patches, and it will never stop unless a new roof replaces it. 1. There is no protection against harmful UV rays. EPDM rubber is a synthetic product that looks and feels much like the inner tube of a tire. It is thin, stretches, and is pliable. For the most part, this type of rubber is black. Even though the manufacturer claims that UV protection is built-in, we have yet to see an EPDM rubber membrane reach the life expectancy of the warranty. In the video below, you will see a relatively new EPDM rubber roof (around eight years old) damaged by harmful ultraviolet rays. Ethylene Propylene Diene Monomer or EPDM rubber is very thin and can easily puncture by nails, screws and other metal objects lying around on any flat roof when stepped on. These objects are unintentionally left behind by Air Conditioner workers and other maintenance crews servicing rooftop units. For the last 40 years, manufacturers of EPDM rubber have gone through, as many as, four trial and error stages, with seam adhesives. These adhesives have failed time and again, to withstand exposure to heat and harmful ultraviolet rays. Since 2014, manufacturers of EPDM adhesives made a complete change in the technique used to bond seams together. They have introduced a self-adhering cover tape. This new method of bonding seams will take at least 20 years in the field, before knowing whether the “tape” is a true remedy to EPDM seam failures. This video shows the results of EPDM rubber failing to keep seams bonded.